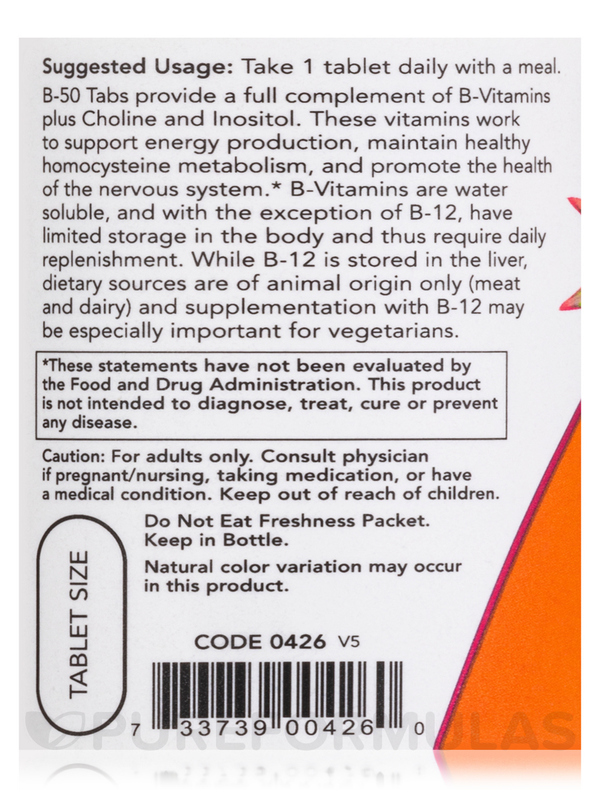 NOW Foods B-50 is a very affordable B-vitamin supplement. 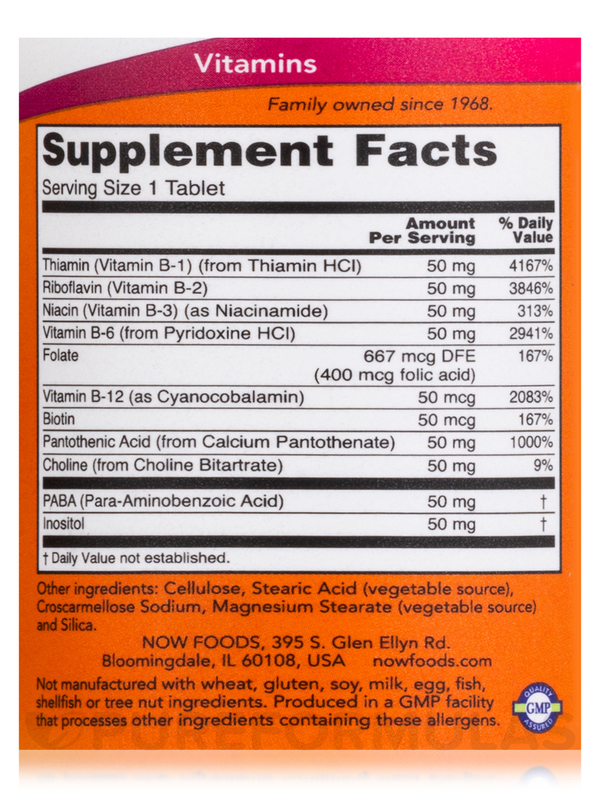 B vitamins really do make you healthy! And they're water soluble so you need to take them every day. 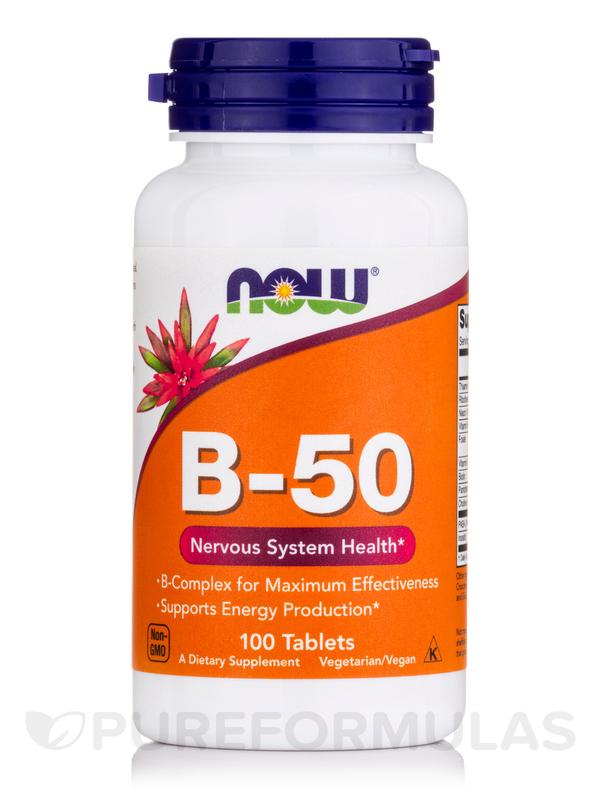 B-50 Tablets are a blend of key B vitamins combined with other nutritional factors for enhanced synergism. 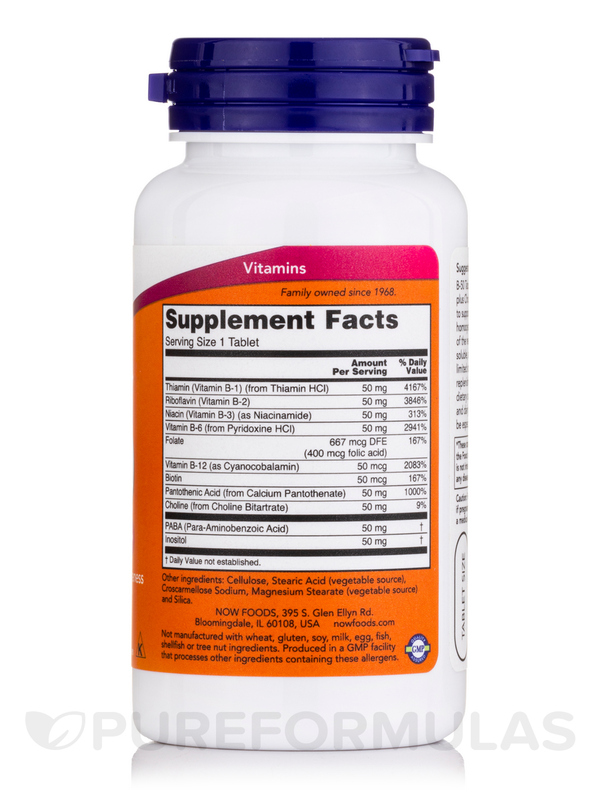 This formula provides recommended potencies of the most important B vitamins and is designed to supply your body's required daily intake in one complete supplement. Other Ingredients: Cellulose‚ stearic acid (vegetable source)‚ croscarmellose sodium‚ magnesium stearate (vegetable source) and silica. Kosher / GMP Quality Assured / Vegetarian / Vegan. 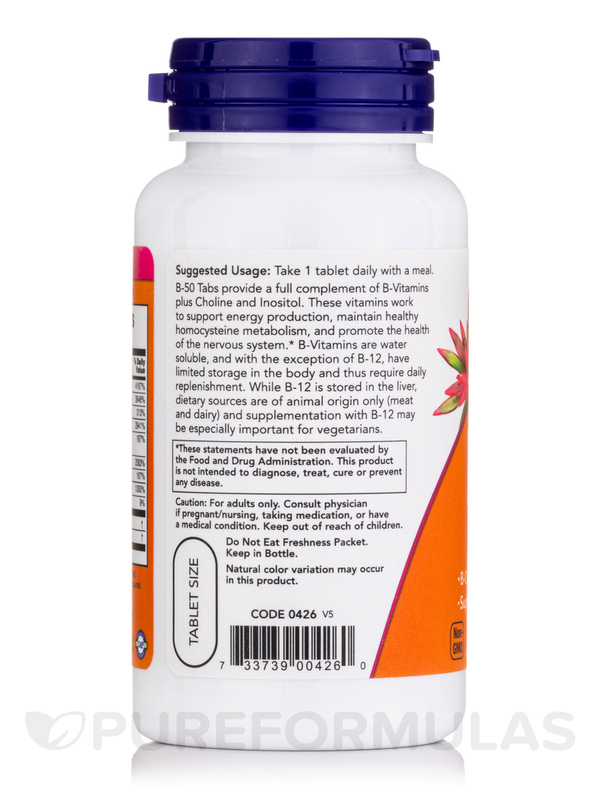 As a dietary supplement‚ take 1 tablet daily with a meal. I've been taking B-50 by NOW for several years and have been satisfied. Good for stress, doesn't cause nausea, good for nervous system support. Wish it had more Niacin.